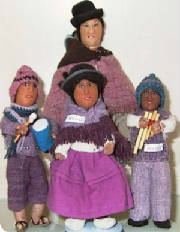 Textiles are an important part of the Bolivian tradition and lifestyle. From childhood we have always learned to tend sheep and alpaca, spin weave and colourfully dye the fleece to make our clothing, blankets and carrying clothes. In this changing world, however, the Aymara Indian traditions are falling away as we search for our identity in a culture that has been superimposed upon us. 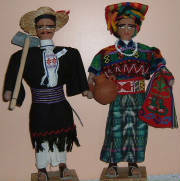 In an attempt to revive many of our traditional techniques, as well as to express our personal creativity, we village artisans, ages 6 to 60, are working together as Artesania Sorata to present the rest of the world our artistic interpretations. We utilize the natural fabrics of our Aymara culture: pieces of traditional weavings that can no longer bear the strain of carrying babies and food - hand spun and hand woven wool and alpaca, as well as, Bolivian grown, factory woven cotton muslin. We hand-dye these fabrics with traditional vegetable dyes or high quality chemical dyes creating tones found in our traditional pieces. 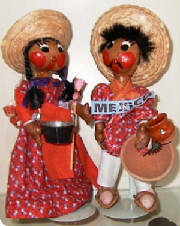 We use the fabrics to make muncecas de trapo rag dolls a revival of an old traditional craft and cuadros de tele-arte wall hangings of cloth are a new art form for us using the techniques of appliqué and patchwork which originated from other cultures and the materials that we know so well.